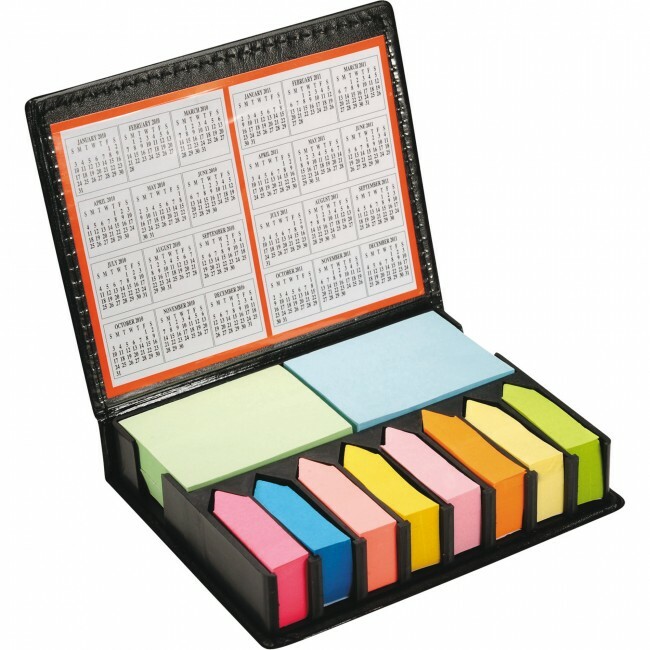 he Deluxe Sticky Note Organizer includes four 50-page 1-1/2" x 1" sticky notepads, sticky note flags in eight colors and two-sided four-year removable calendar. Calendar size: 3-1/2" x 4-5/8". 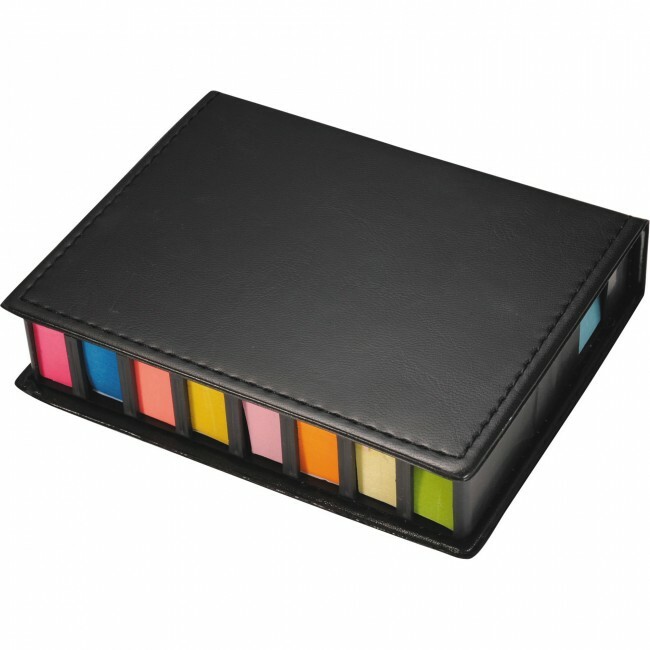 Stay super organized with the Deluxe Sticky Note Organizer. 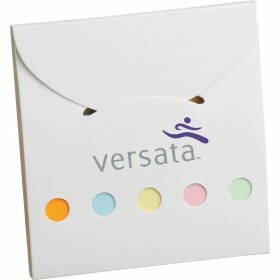 It includes four 50-page 1-1/2" x 1" sticky notepads to write down ideas or memos. It has a leatherette cover. 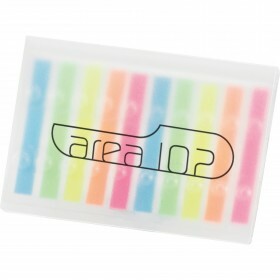 The Deluxe Sticky Note Organizer also has sticky note flags in 8 colors, neon pink, blue, salmon, yellow, light pink, gold, pastel yellow and green. Keep track of dates with the removable two-sided four-year removable calendar. Custom print the front with your company's brand name, promotional message or logo. 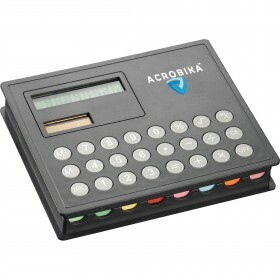 This is perfect for back to school events or trade shows. Features professional leatherette cover. This product is non refillable.